Next time you are planning a family vacation to Legoland Florida Resort, contact our friendly team at GNS Limousine of Orlando for the finest professionally chauffeured service. 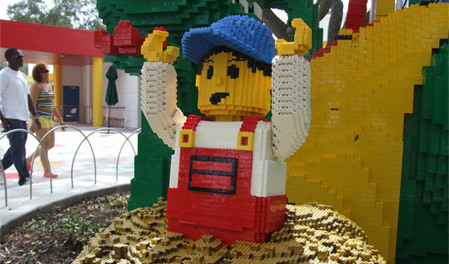 Nothing comes close to the level of entertainment, that the whole family is sure to love, as the LEGO action that this Florida’s interactive theme park provides. Built on 150-acre landscape, Legoland is located in Winter Haven, just 45 minutes from Orlando and Tampa. We have a large, modern and spotlessly presented fleet of luxury sedans, limousines, passenger vans, luxury SUVs and mini-coaches, to comfortably get you there. At GNS Limousine a team of professional chauffeurs awaits you. All our drivers are fully licensed and have undergone intensive training to go above and beyond to ensure you and your family’s transportation is in the best hands. We are available around the clock to assist you with any queries you may have regarding your transportation. Contact GNS Orlando Lego Land Limousine Service on 888 737 9292 to discuss all your particular needs and for any additional information about our transportation service that you require. Our professional and knowledgeable team can help you select the correct vehicle depending on your particular taste, personal preference and number of passengers travelling. If you are flying in let us meet you at Orlando International Airport, Orlando Executive Airport or Kissimmee Gateway.